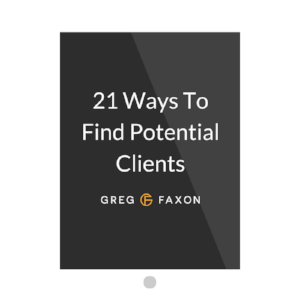 Finding clients can be really overwhelming sometimes. Sometimes you don't know where to start. Other times, there are all these different gurus claiming that they know the best way to get clients. You're not always sure which to try. What if you could simplify the whole process of finding coaching clients? Well, you can. In this video I'm going to give you the three categories that all of those other tactics fall into. That way you can cover your bases and figure out where to go next. So, which category do you need to focus more on: your immediate network, second degree connections, or watering holes? Go out there and get yourself some clients this week. Note: If you enjoyed this video, make sure you are following my Facebook page and that you have Live notifications turned on.